Is Your Wedding Going To Cost A Bomb? Are you worrying about everything that needs to be planned for your wedding? Do you want you wedding to be perfect without maxing your credit cards? Let's face the fact here, you wore the ring and said "I do" without much thoughts. You were OVERWHELMED BY YOUR EMOTIONS on the proposal day. 9 OUT OF 10 WEDDINGS had screw-ups due to inadequate planning and budgeting. Why not… Start Your Low Budget But Perfect Wedding Planning Today? There are several reason that a wedding is expensive. You have the venue to pay for, the dress, and the reception to take account of. Everything adds up to one big check. The reception and the wedding alone have forty other things tied into them such as food and decorations. Your wedding party will expect gifts, and in most cases, the bride and groom pay for the dresses and the suits of the entourage. Sometimes, you get help from your parents, but more often than not, you will find that you're on your own. To make the wedding of your dreams come into fruition—visualize what you actually want and start planning. Visualizing helps in a big way because it shows you what you really want, therefore you can set that as a goal for your wedding day. When people get engaged, some end up not knowing what they want at all. Then they try to figure everything out, sometimes don't get everything done, or leave everything to the last minute. This is the opposite of what you want. If you leave everything to the last minute, you are going to spend at least twice as much (possibly even more than that!) than you originally planned. What you need to do instead, is sit down with your fiancé and begin to make plans together about what you want, and how the two of you are going to begin to achieve your dream wedding together. This book is going to show you a number of things you need to prepare for your wedding—like how to pick a venue, how to book that venue at a cheaper price than what you expect, what date to set the wedding, venue decorations, what cake to buy, how to get your entourage their gowns and suits without breaking the bank, the guest list and what to weigh on in when inviting people, and much more. Attention! This Casanova playbook is NOT for everyone! 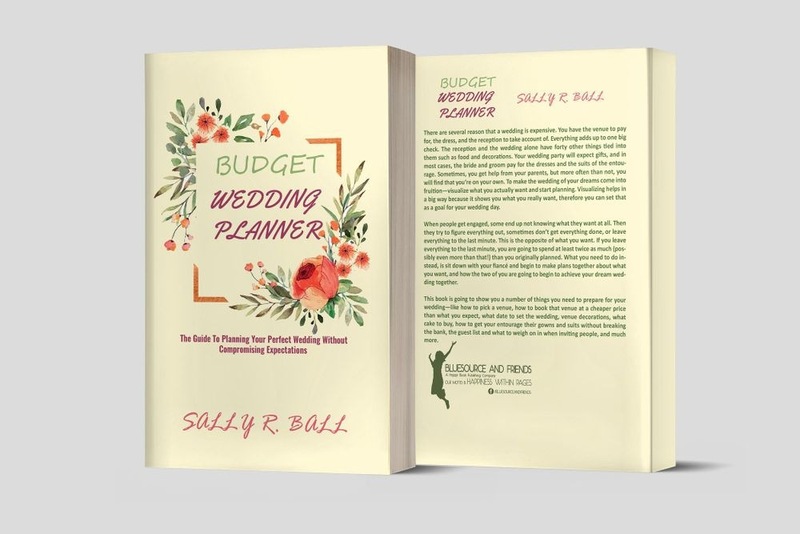 This book is not for people: Who care less for their perfect wedding Who doesn't want to spend a little as possible Who doesn't believe in a realistic wedding budget If you are ready to plan your PERFECT WEDDING, Scroll Up And Click On The "BUY NOW" Button Now! 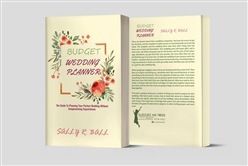 Acquista Budget Wedding Planner - The Guide To Planning Your Perfect Wedding Without Compromising Expectations in Epub: dopo aver letto l’ebook Budget Wedding Planner - The Guide To Planning Your Perfect Wedding Without Compromising Expectations di Sally R. Ball ti invitiamo a lasciarci una Recensione qui sotto: sarà utile agli utenti che non abbiano ancora letto questo libro e che vogliano avere delle opinioni altrui. L’opinione su di un libro è molto soggettiva e per questo leggere eventuali recensioni negative non ci dovrà frenare dall’acquisto, anzi dovrà spingerci ad acquistare il libro in fretta per poter dire la nostra ed eventualmente smentire quanto commentato da altri, contribuendo ad arricchire più possibile i commenti e dare sempre più spunti di confronto al pubblico online.